The CuBox-i’s simple elegant design conceals its impressive power and multiple functionalities. 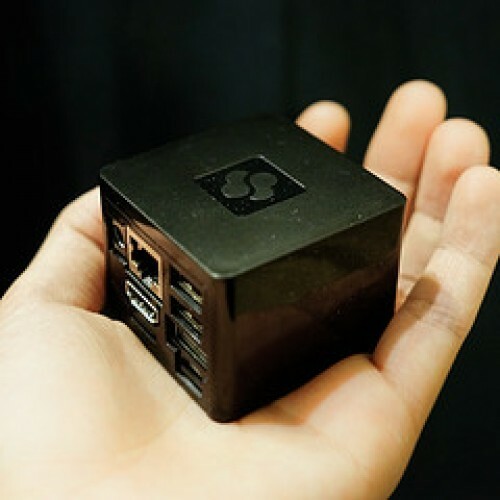 This 2x2x2 inch3 can become your Android TV box, your multimedia streamer, your networked storage, and your pocket-size personal computer, running Lite Desktop and infinite open source applications. The scalability of the CuBox-i and its range of feature sets, performance levels and connectivity options allow you to select the model that suits your needs and your budget. Accessories: A range of accessories are also available. 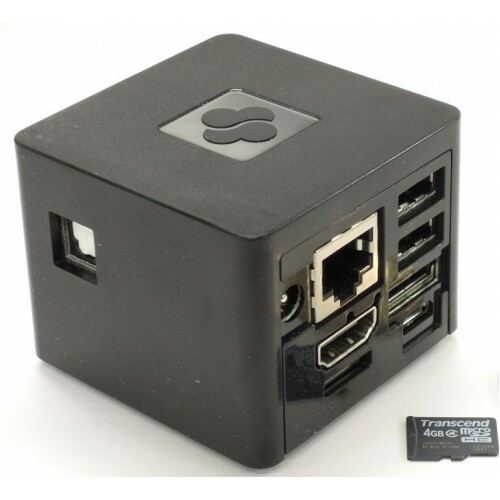 What Can I Do With My CuBox-i ? The CuBox-i is an excellent device for learning new computer skills. This open-source based computer provides access to the very latest technology. It is small and portable, and its low cost makes it irresistible. Buy it for yourself or your kids and open up new worlds of creativity. Combine the slick design and feature-rich specs of the CuBox-i with the huge variety of available Android applications – including media, browsing, e-mail and gaming – and you get the best big-screen Android experience. Use it at home, in the office or virtually anywhere. XBMC is the best media center experience in the smallest available package. The CuBox-i fits neatly next to your TV at a fraction of the price of other home theater PC solutions. Turn your TV into a smart TV by connecting it to the internet and stream your favorite content from the web or your local storage devices. Our $45 mini computer will enrich your TV watching with new content and give you the best media center user experience in the world. Stream your music instead of playing CDs and store all your tracks in one central place. 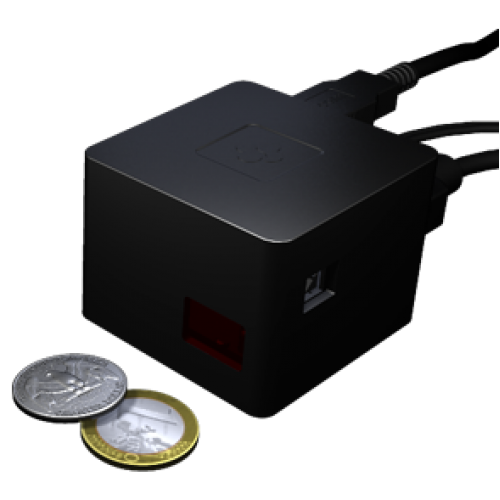 The CuBox-i gives you high quality audio with a choice of compressed or uncompressed audio tracks. The CuBox-i enables you to deliver your marketing message clearly at a minimum cost. Connecting our mini computer to a screen and stream videos, feeds, images, and audio material, so you can keep your customers updated, promote your products and services, and increase your sales. Lower your IT costs with the ultimate thin-client mini computer. Our high performance, low cost, mini computerrun on extremely low power and allow for fast connection with your server. With little investment you can set up a lean and reliable smart terminal solution to serve your business for many years. High performance, fast networking and advanced local storage technology make the CuBox-i an excellent choice for NAS server solutions. It also combines well with other applications, such as XBMC Media Center and MPD Jukebox, for storage of all your favorite content. 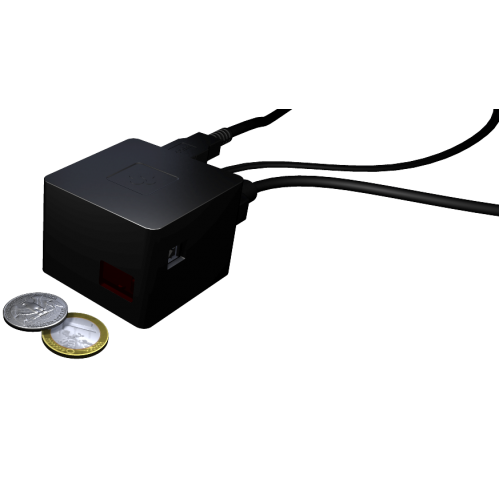 Multi National Power Adapter - UK, EU, US and Aus. Power Requirements 5mm/2.1mm DC Jack. Requires a 5V/2A power supply (included).